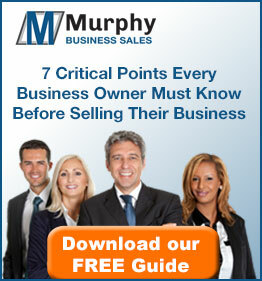 Murphy Business – Virginia, West Virginia & Washington D.C. Located midway between New York and Florida, Virginia is the gateway to the South for the Mid-Atlantic region. The Commonwealth is bordered by Washington, D.C., the nation’s capital, the state of Maryland to the north and the state of West Virginia to the West. With an area of 39,410 square miles and a population of over eight million people, Virginia is a major business hub in the Mid-Atlantic region. Northern Virginia counties served include Fairfax, Arlington, Loudoun, Prince William and all surrounding areas with offices conveniently located in Herndon and McLean, near Tysons Corner. We represent many business types including manufacturers, government contractors, information technology (IT) providers and a wide range of service and retail establishments. Beyond the local market, Murphy Business maintains over one hundred and eighty offices in North America and has affiliations with all National and International Business Brokerage and M&A associations. Many of our brokers have also served as business owners themselves at some point in their professional careers. This broad reach and depth of talent assure all of our buyers and sellers maximum access and exposure to today’s market. By utilizing these resources in a focused approach to the business transition process we are uniquely qualified to deliver meaningful and effective results for our valued clients.